Democrats are going all in on the heartland. On Monday, the Democratic National Committee announced it had selected Milwaukee, Wisconsin to host its 2020 presidential convention, a move that offers real and symbolic significance after Hillary Clinton skipped the state in the 2016 presidential race, then went on to lose it to President Donald Trump. Milwaukee beat out Houston and Miami, which had mounted an unsuccessful final lobbying blitz to be the host city. Wisconsin has embodied the party’s failures in the 2016 presidential race. Clinton felt so confident in capturing a state that Barack Obama had claimed that she bypassed it in the general election campaign. Trump then won it by less than 25,000 votes, the first time the state had gone red in a presidential contest since 1984. DNC chair Tom Perez echoed as much in an email to DNC members on Monday, adding that Democrats in the state had made notable gains, including ousting longtime Republican Gov. Scott Walker last year. In recent weeks, top Midwestern Democrats and business leaders engaged in a frenzied effort to bring the convention to their region, insisting that holding it in Wisconsin would help repair the frayed relationship between the party and heartland voters. Wisconsin Gov. Tony Evers, Sen. Tammy Baldwin (D-Wisc.) and even Illinois Gov. J.B. Pritzker were involved in the behind-the-scenes overtures to the DNC. And in August, a coalition of Midwestern senators from Minnesota to Indiana to Ohio signed on to a letter to the DNC calling for a Milwaukee selection. Milwaukee made its new Fiserv Forum the centerpiece of its bid. The Milwaukee Bucks basketball organization had poured some $250 million into building the state-of-the-art arena that was so new when DNC members walked through it last summer, it still smelled like fresh paint on the tour. For months, DNC members complained that the city’s hotel room inventory couldn’t handle the convention. 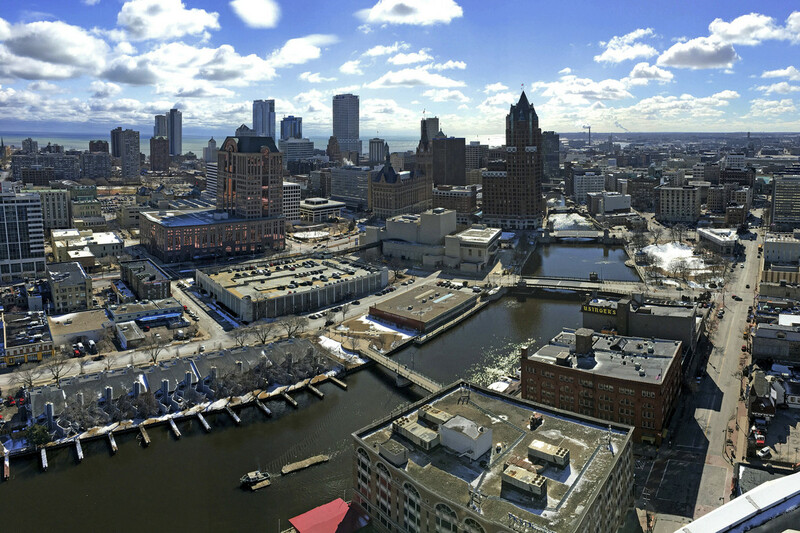 Some warned that Milwaukee would be “another Charlotte,” a reference to the 2012 convention host city, which struggled to accommodate the influx of people. “We have enough hotels,” Lasry said. What legacy did Karadzic and the war leave behind for Bosnia?